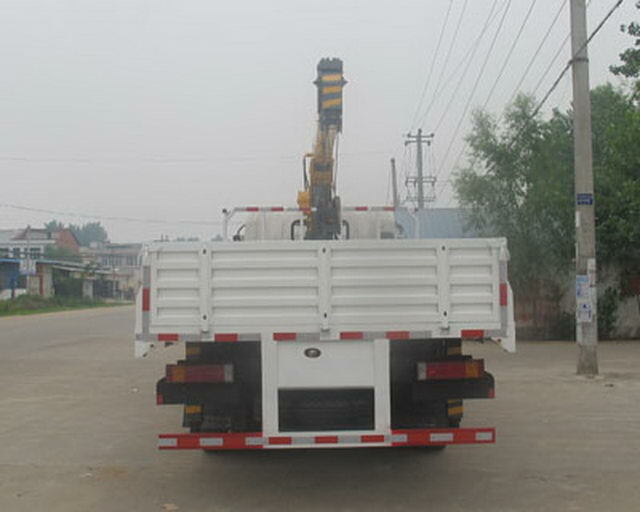 3. có thể chọn 3.2ton cần cẩu. 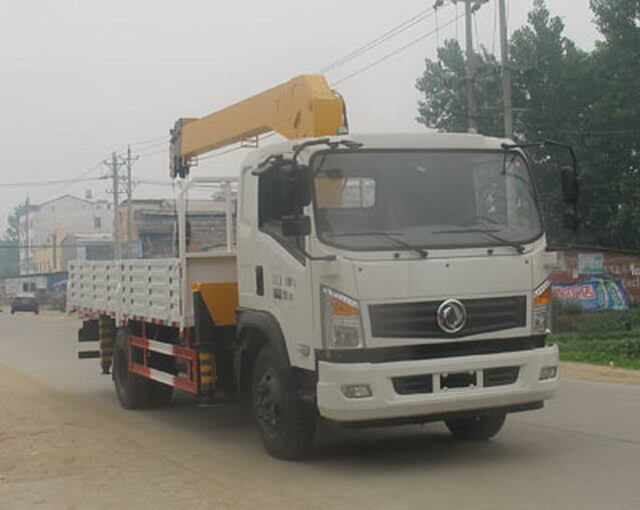 1,Crane model/Hoist weight(kg)/Maximum lifting load(kg)Corresponding relation is: (SQ5SA2)/2000/5000;(SQ6.3S)/2500/6300. 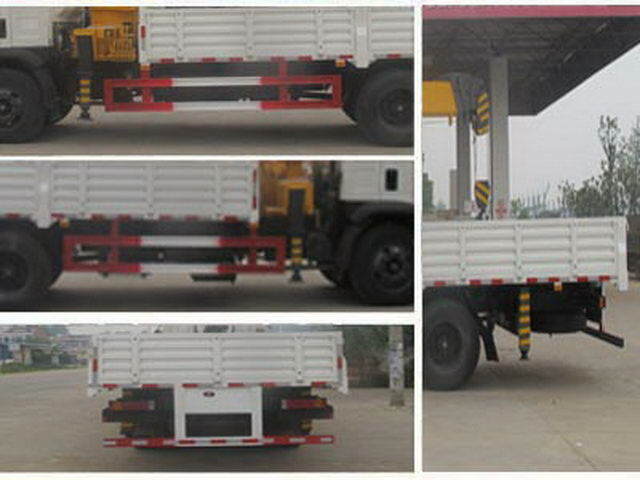 Rear lower protection device:The frame is welded and connected with the frame,Section height is100mm,Off the ground450mm. 4900/8000=1320+4500+2180mm.4,The car uses the engine modelYC4D130-45,YC6J160-46,4DX23-140E4R,ISF3.8s4R141,CY4102-CE4KCorresponding fuel consumption values are(L/100km):24.6,24.6,24.0,24.5,24.3.5.ABSModel for3631010-C2000,Manufacturer of Dongfeng electronic Polytron Technologies Inc brake system company. Other: 1.With the same series of single cab;2.Engine net powerYC4D130-45by91(kW),YC6J160-46by109(kW),4DX23-140E4Rby103(kW),ISF3.8S4R141by102(kW),CY4102-CE4Kby102(kW);3. When the mass is3120Kgtime,Foreign minister,Wheelbase correspondence:5880-3300,6230-3650,6380-3800,6380-3950,When the mass is3320Kgtime,Foreign minister,Wheelbase correspondence:6780-4200, 7080-4500,7280-4700,Due to changes in the quality of the wheelbase caused by the change in3%,Can be ignored;4.The optional front exhaust pipe,The optional speed limiting device,Speed limit80km/h,Optional disc brake device; Optional disc brake is optionalABS,Model for3631010-C2000,The manufacturer of the East Branch Knorr commercial vehicle braking system(Shiyan)Limited company.